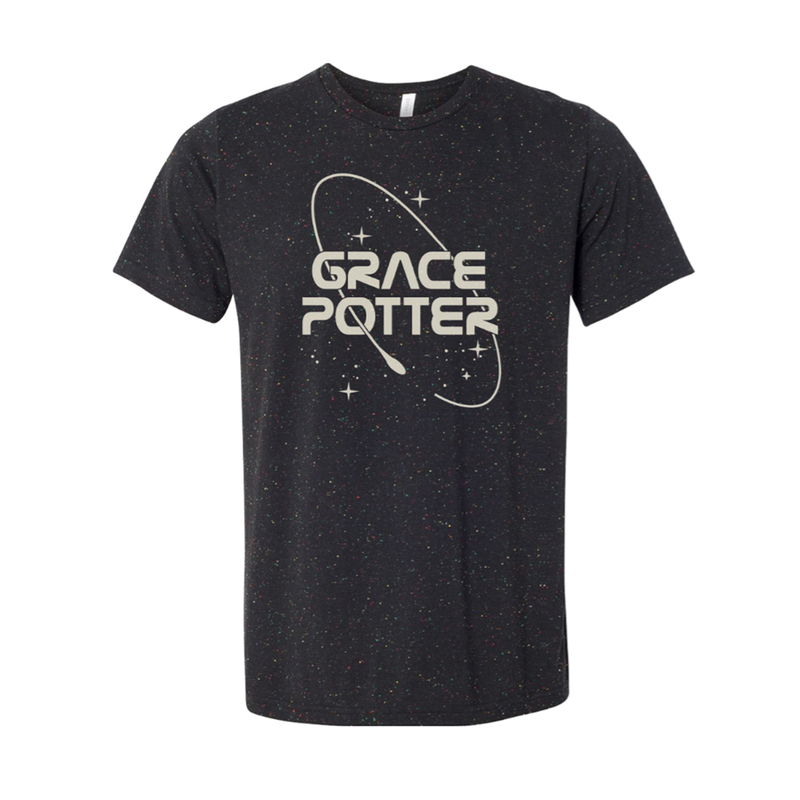 Black speckled poly-cotton short sleeve t-shirt featuring a NASA inspired Grace Potter logo on front. Love the shirt-the sparkles are wonderful! Anything Gracie is good but this is exceptional!! !